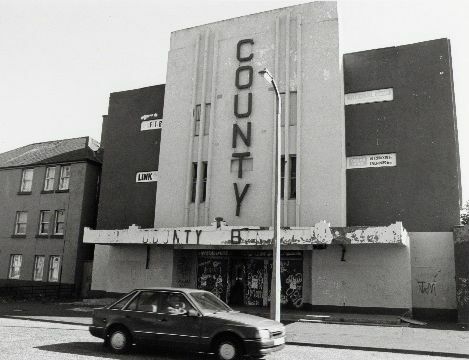 The County opened in 1950, replacing an earlier cinema on the same site, the Rio, which was destroyed by fire. 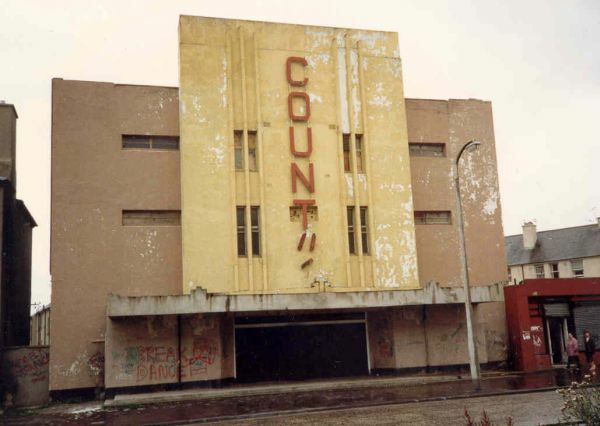 The County closed to film in 1963, and was subsequently used for bingo. 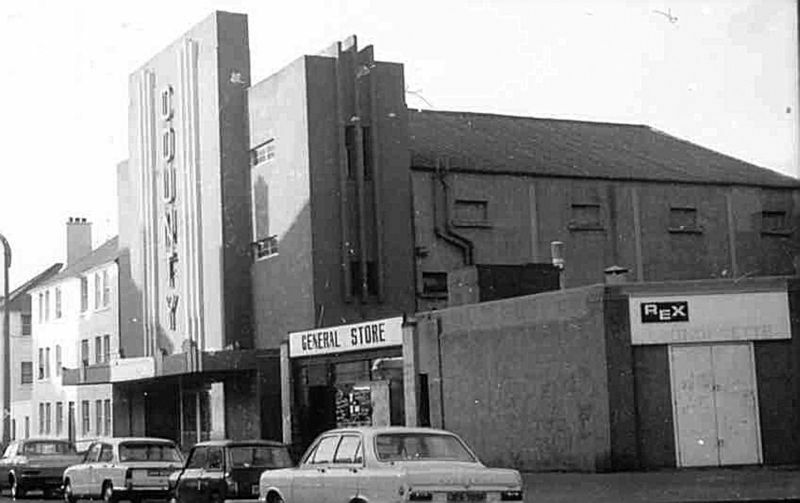 It has since been demolished, apart from the small row of shops visible to the right of the main building (the 'Rex' sign is still visible! ).